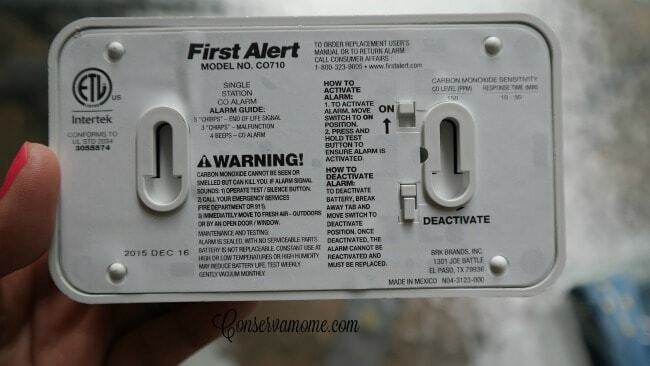 Disclosures: This is a sponsored post on behalf of First Alert Carbon Monoxide Monitor. However, All opinions are 100% mine. May contain affiliate links. When I was pregnant with my oldest we were living in an old 1916 Dutch colonial home that we loved. However, during the summer months our air conditioner broke and we had some repair guys come in and fix it. Sadly, one of them made a mistake and Carbon Monoxide started to leak out of the unit. Thankfully, we had an alarm that went off right away, but I don’t want to think about what could have happened had we not. We do everything we can to keep our family safe from things we can see. Carbon Monoxide can strike when you least expect it. Carbon Monoxide (CO) poisoning is the number one cause of accidental poisoning in the United States and is responsible for an average of 400 deaths, and an additional 20,000 people seek medical attention annually. Sadly,nearly three-quarters (73 percent) of CO exposure is in the home, and more than two-fifths (41 percent) occurs during the winter months of December, January and February. That’s why it’s important to know when the levels in your home go up. CO doesn’t discriminate on the basis of home age and can attack even in the newest of homes. It has a great test feature that lets you know it’s working and is incredibly easy to use! Just set to on and test and you’re ready to go. However, my favorite feature of all is that it has a 10 year battery life span. Which means no worries about changing the battery on this model. Making it one of the best on the market. It’s so easy to use and mount you can put it anywhere outside of your bedrooms to keep your family safe in case of danger. 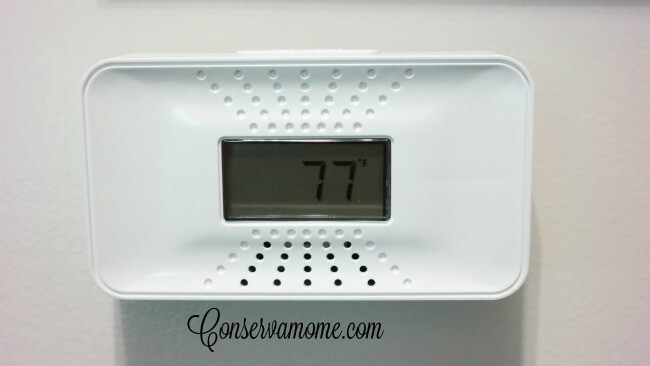 While in use it also displays the temperature of your home. This is a must have in any home. 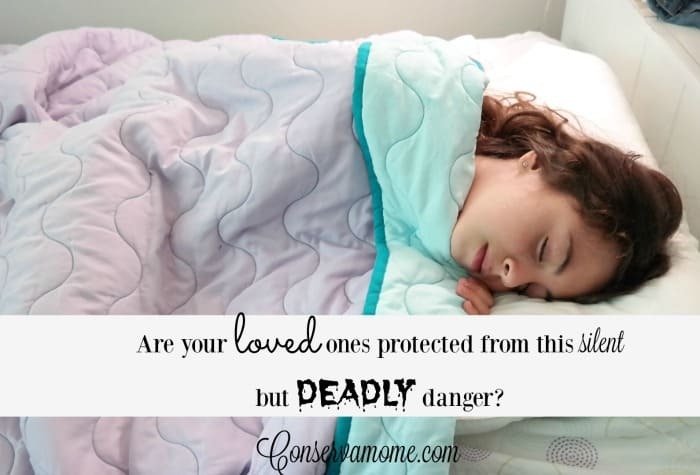 You need to protect your loved ones from this hidden danger that can strike at any moment. i had no idea that this was true so very sad. I didn’t know that it mimicked symptoms like the flu, not did I know about the chest pains. We has an incident about 12 years ago where the exhaust chimney collapsed after my building put in a new boiler. I was the only one in my 3 family building who had a C/O detector. It alerted us before we could get sick and it ultimately saved our lives. I am shocked that its the number cause of death here in the U.S.A.
I’m surprised that there are so many deaths from CO poisoning! I never knew how important the detectors could be. I’m amazed at the not very alarming symptoms and how you could simply put it off as something else. Makes me very nervous that Carbon Monoxide Poisoning wouldn’t even cross my mind! I didn’t’ know that Carbon Monoxide poisoning is the number one cause of accidental poisoning in the United States. Thank goodness they have detectors for it! I did not realize we needed more than one CO detector in the house. Time to buy more! I didn’t realize this was the #1 cause of accidental poisoning! 400 deaths! That is a scary number! It surprises and saddens me how many people are effected and even die from this. That’s absolutely terrible. Thank you for the chance to win this to keep my family safe. 73 % of CO exposure is in the home and 41 % occurs during the winter months of December, January and February. “Carbon Monoxide (CO) poisoning is the number one cause of accidental poisoning in the United States and is responsible for an average of 400 deaths” <— So scary!! Thankfully these are required in our apartments so we have one provided by them at the moment… but I don't think its such a great quality. This kind of thing terrifies me. I’m kicking myself for not having a detector in my house. Going out to get one today thanks to your blog post. Thank you! What surprised me is that it can happen in new homes. I was under the impression that it generally happened in older homes. We have one on the first floor of our home – not this brand however. It came with our house from the builder. I love your article but having worked in ER for over 30 years. I have seen some bad tragedies and a few people coming sick in thinking they had the flu. I had a dad bring a baby in because she kept vomiting baby was listless color pale poor. We always ask if any body else sick. Dad said yeah all had the flu so his wife called him home from work to bring baby in because she didn’t feel up to it and other 2 kids puking too. 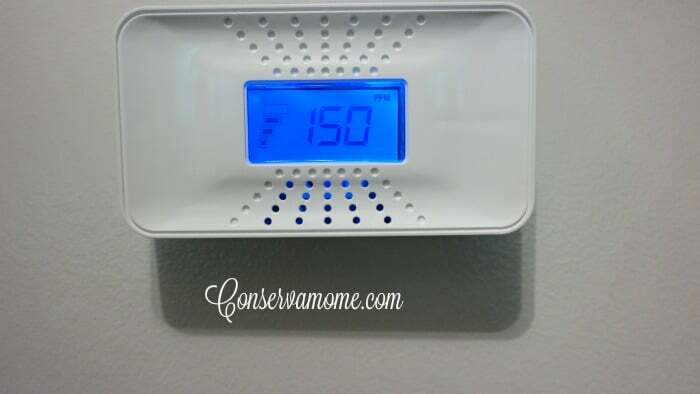 We have an instant read CO detector and it should be less than 5 it was 30. We sent fire department to go to house and get rest of family we had already put dad and baby and nurse in a hyperbaric chamber. Mom and 2 kids were flown to nearby metro hospital for hyperbaric. If mom had not called dad the mom and kids would not of made it. 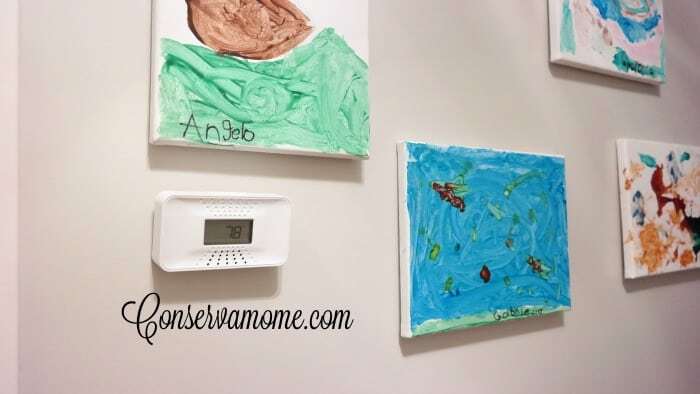 I always push for smoke detectors and CO detectors. And have given them for shower presents. Like the new design and 10 year sealed battery.